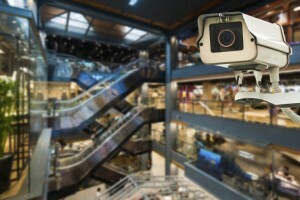 In retail, video surveillance systems were for a long time considered to be one-dimensional, in that their only purpose was for loss prevention. And not only that, most systems were used only in a post-incident respect. But now, with IP video cameras, video analytics software and plugins, video surveillance can be used as a proactive security measure that not only doesn’t require direct human supervision, but can read situations in real time and alert security personnel. But moving beyond loss prevention, video surveillance has a number of applications that can be leveraged very successfully in retail stores. The applications can assist with everything from marketing campaigns to customer service. Most importantly, these applications (in addition to the new active loss prevention capabilities) of video surveillance have dramatically increased its potential for return on investment. So what are some examples of these new retail capabilities? Learn more in our blog. How is video surveillance moving beyond loss prevention? IP video surveillance cameras can count the number of people that walk through the entrance of a brick and mortar store. When you know how many people enter your store, you can divide this by the number of people who actually made purchases to get a good idea of your customer conversion rate. Using infrared heat mapping, IP cameras can determine the most common traffic patterns people take through a store, and how long they stay in certain locations. This can play a major role in determining how merchandise and product displays are arranged in the store. Analytics can determine when a person has been lingering in one spot for an extended period of time. The software can then alert a staff member to go help the person, who may be in need of assistance. Consider the fact that if this person did not receive assistance, they might have just walked away. In this way, analytics significantly increases the potential for a conversion, not just now, but in the future as well. Analytics can determine when the line at a register is getting too long, and can alert staff to open up a new line. This entry was posted on Thursday, June 11th, 2015 at 1:08 pm. Both comments and pings are currently closed.